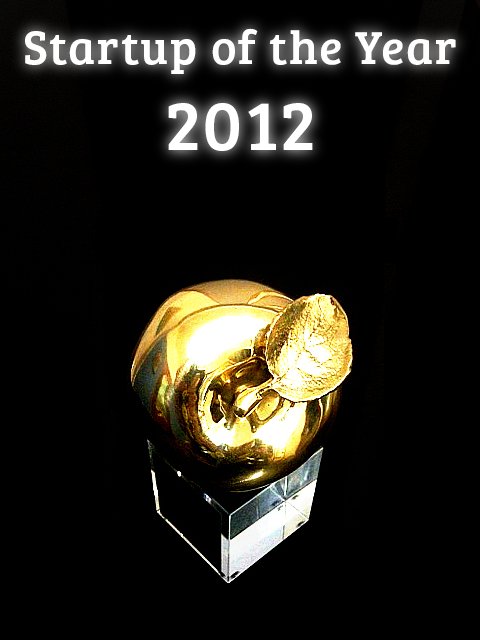 Quote Roller Wins Best of the Year Startup Award 2012! We Got a Golden Apple! Several weeks ago our team was selected as a finalist among 300 applicants to compete for the Best Startup of the Year 2012 award in Moscow, Russia. Finalists were selected through a panel of judges, which included more than 80 representatives of investment funds, entrepreneurs, experts and consultants. As a result, Quote Roller with 13 other teams from Russia, Belarus and the United States were selected as finalists. The event was a blast! Attended by 1,000 people, and 2,000 people watched the online broadcast live. Although we didn’t win in our nomination for the Best Global Startup, our golden apple is very special, as we got the People’s Choice Award! Some crazy pictures after the cut! Congrats to Quote Roller and thanks to all our customers! We love you <3!